2012. 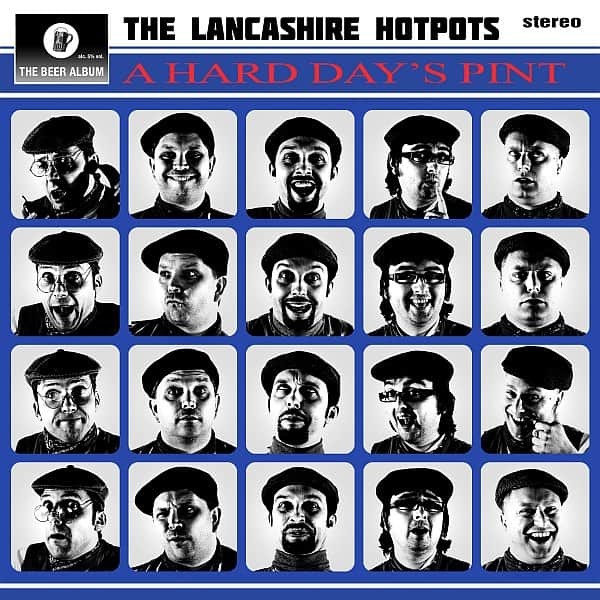 The Jubilee, London Olympics…the worlds eyes look to the UK this summer to deliver some huge events, but probably the most anticipated of the year is…A Hard Day’s Pint…the new album from the “Masters of Parody” (The Guardian) The Lancashire Hotpots. A Hard Day’s Pint is a laugh out loud musical round up of drinking and good nights out; fifteen tracks covering ever facet from the thirsty anticipation of good times ahead through to the messy end of night kebab! It’s the ultimate sing-a-long-a, drink-a-long-a album.